Our house renovation has taken quite a few years now, but the downside of doing it yourself I suppose is not having an endless pot of money. It also means that as we are just completing the last rooms in the house, the first rooms are starting to get pretty grubby! We’ve gone back and forth with the carpet vs wood options for our flooring in the house and I never know which is the best option for us! Then to add into the mix I am a Mum to three children! 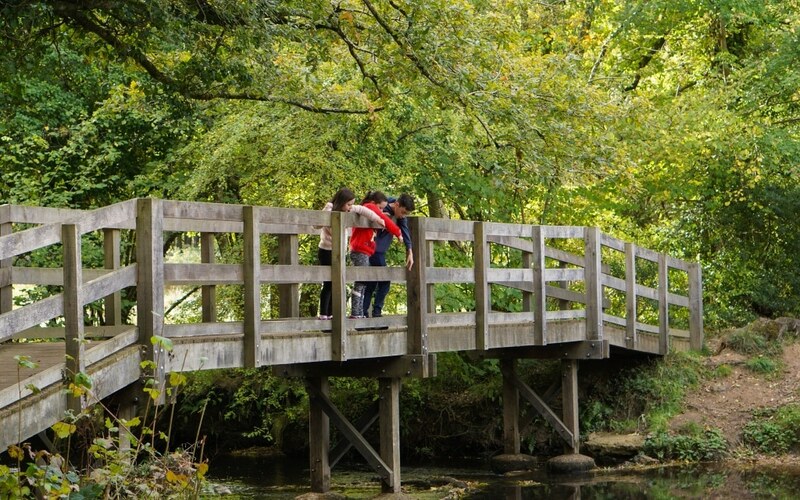 We love to get out on walks throughout the year and I love to see them exploring nature and won’t let a bit of mud stop them. 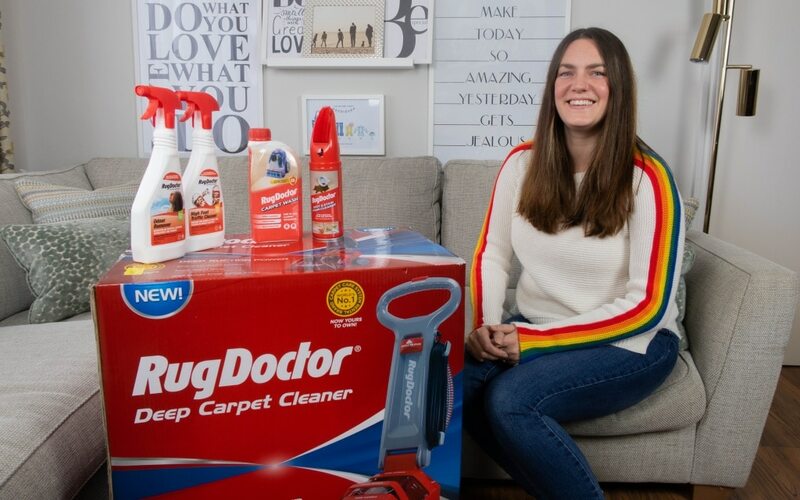 So when Rug Doctor got in contact with me and asked if I fancied trying out and reviewing the Rug Doctor Deep Carpet Cleaner I just had to say yes! The carpets in the house are suffering and I can’t help but think my house smells like wet dog! Inside the box are the main carpet cleaner, instructions, attachments, power supply and a small bottle of carpet detergent. You will need to purchase cleaner as this only did a couple of tanks worth. 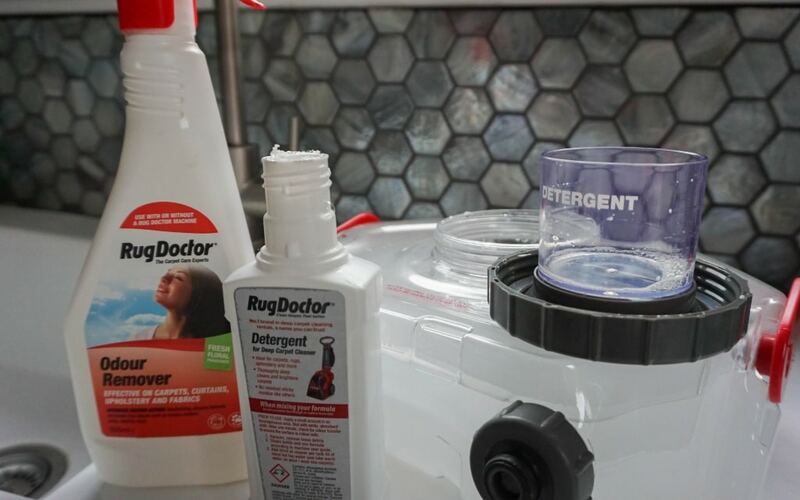 It took me about a couple of minutes to put the Rug Doctor deep carpet cleaner together, it was very easy and I love how everything is neatly stored within the product itself. Filling the carpet cleaner up was incredibly easy. 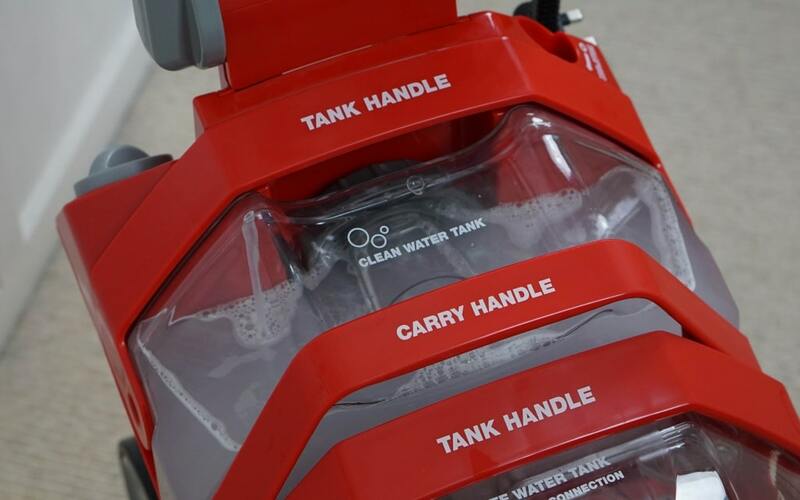 Each tank is labelled clearly with a large handle which is easy to lift out and a large opening to fill up. The tanks aren’t too big that they become too heavy to lift when filled. The unscrew cap turns into a measuring cup for the cleaners to be added with. I also added some of the odour remover to the water as well. This can also be sprayed directly onto fabrics between cleans. 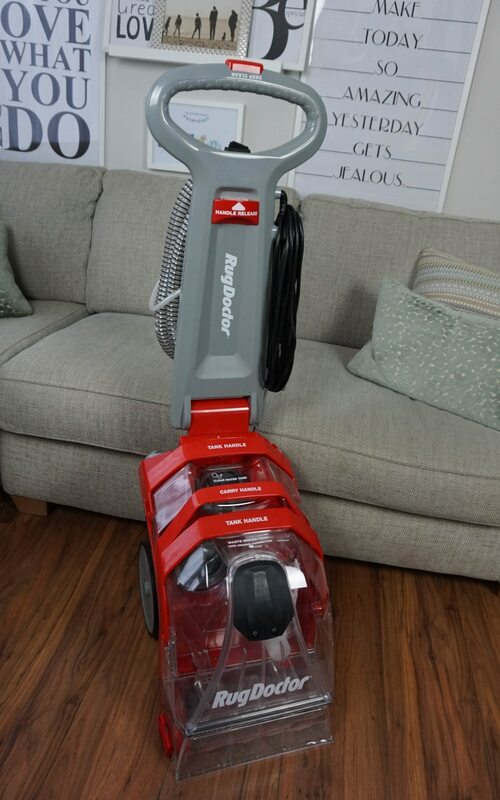 Once added back into the carpet cleaner you’re ready to go! 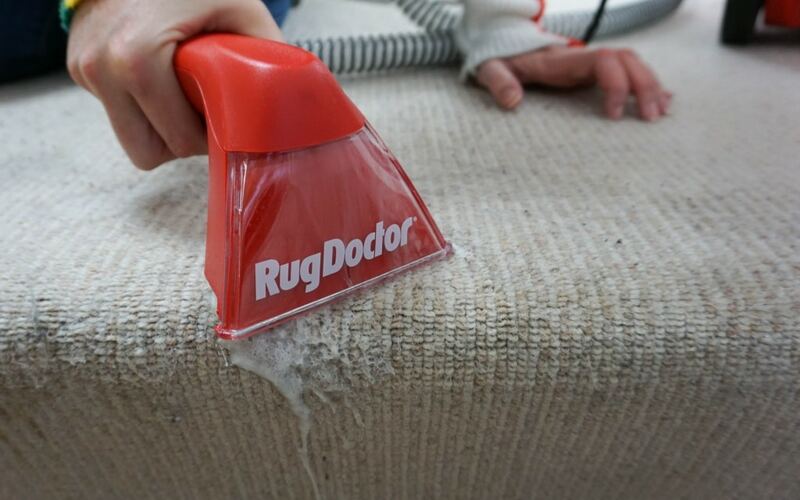 There are two functions of the Rug Doctor deep carpet cleaner, a full carpet cleaner and the added benefit of an upholstery cleaning tool for getting into those hard to reach areas, car seats, stairs and upholstery. There is a button on the top which you need to make sure you’re selecting correctly. Then you’re free to start cleaning the carpet. 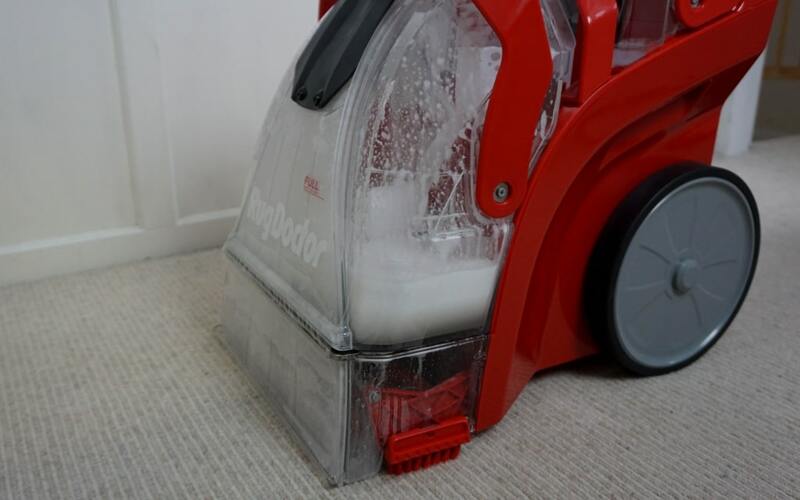 You pull the carpet cleaner backwards towards you to clean the floor. 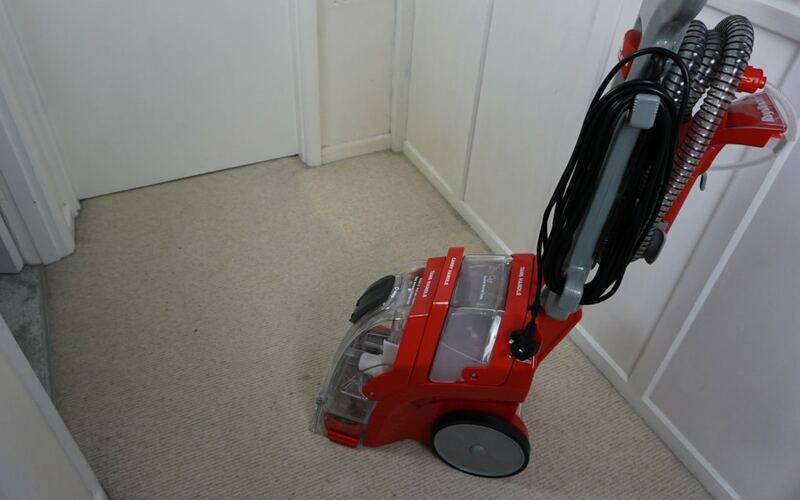 It constantly vacuums up the fluids that it has put into the carpet. It was shocking to see the dirt coming up! 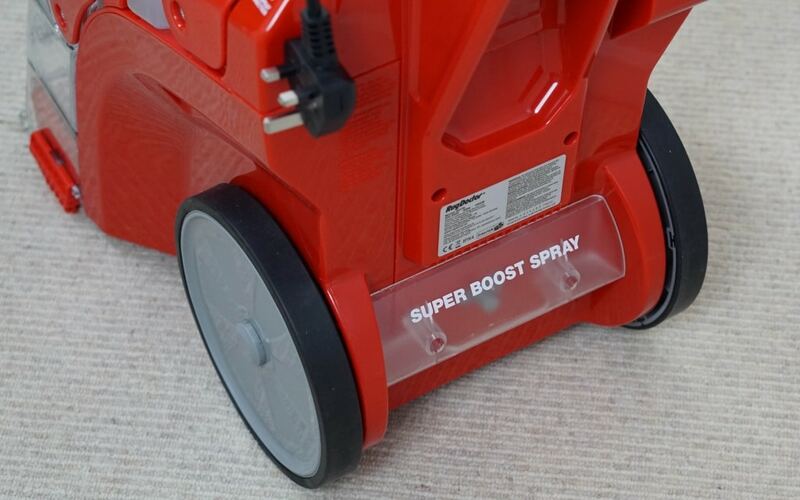 It also has a super boost cleaning function for those more stubborn carpet area. 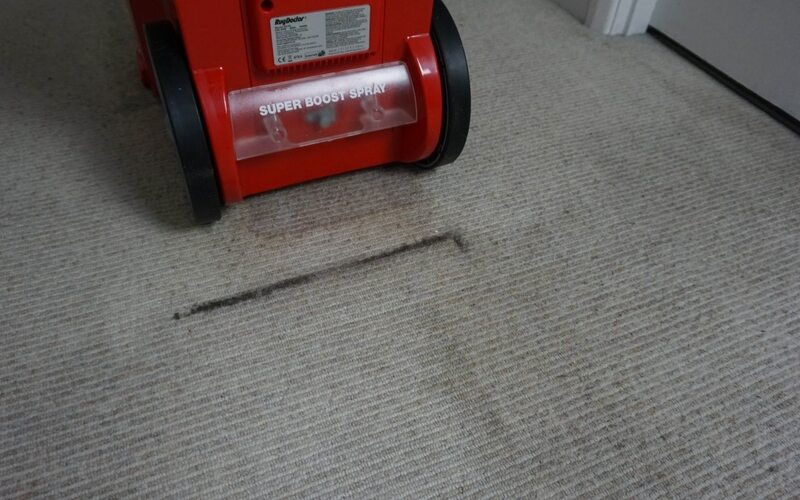 You must leave the carpet cleaner running for a little while after you’ve finished cleaning, it needs to push the dirt through into the dirty water tank, otherwise, this happens! But the carpet cleaner coped perfectly well with this and cleaned it all up perfectly and you wouldn’t have known! Look how disgusting this is!! The dirty water tank is slightly larger than the clean water tank but it’s still nice and easy to lift out and empty. 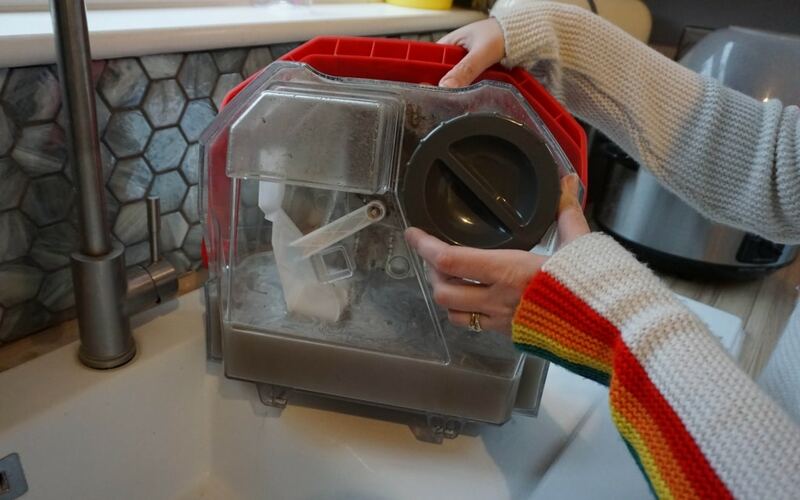 With a large opening, you can get rid of the dirty water so easily. I was surprised at how quickly the tank filled up and how much the water was used. So you will need to do quite a few trips to be able to complete a full room. It’s so easy to do though so it’s not a problem. 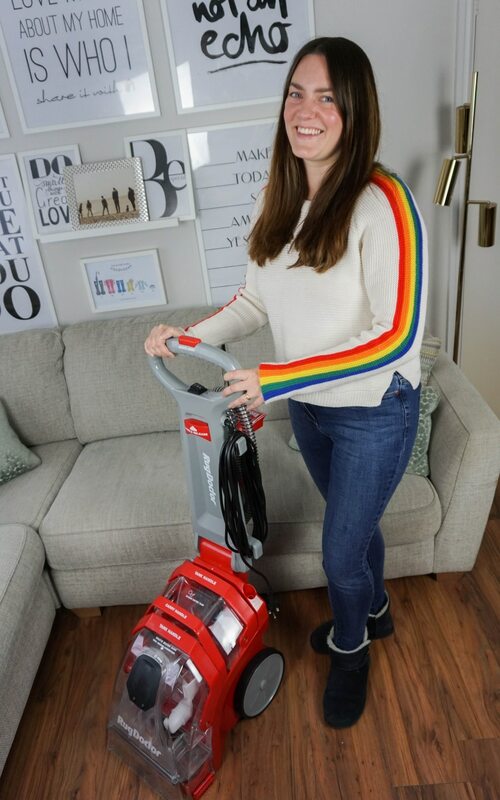 What I loved about the deep carpet cleaner was the additional upholstery tool as it gives you the options of being able to clean large carpet areas or smaller areas too like sofas, car seats and stairs. 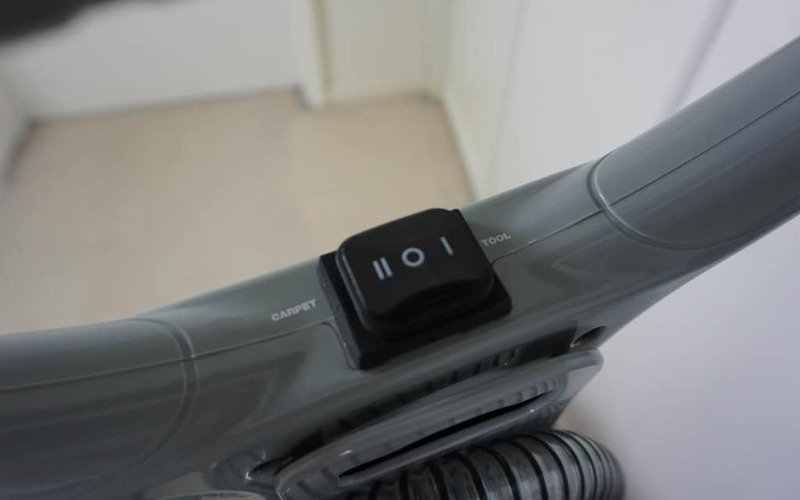 It’s also stored so neatly ready to be connected when you need it. I loved watching the carpets changing colour as I was moving along cleaning them! I would have preferred the hose to be a little longer for the stairs as it didn’t quite reach from bottom to top. 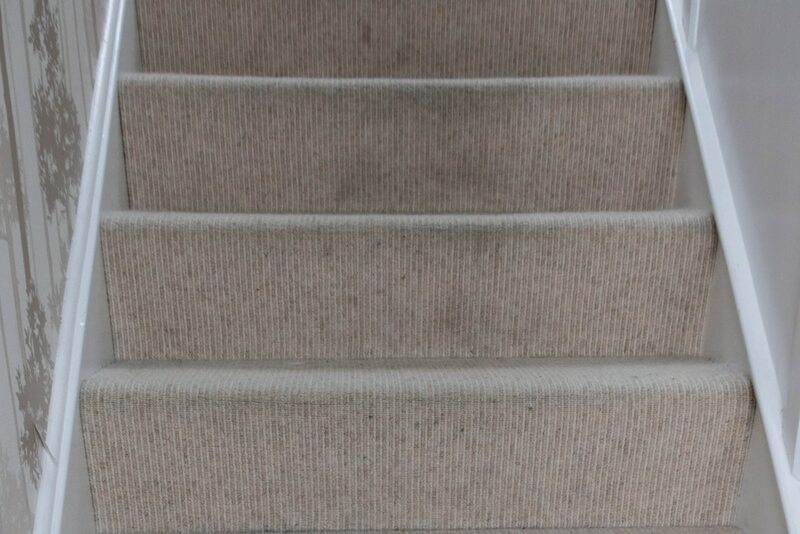 However, the weight of the carpet cleaner is only 12.5kg so can be easily lifted up and down the stairs. I also used the pre-treatment of high foot traffic cleaner on the stairs as the carpets are cream and lots of footfall in one area. Spray on and leave for 10 minutes before using the carpet cleaner. 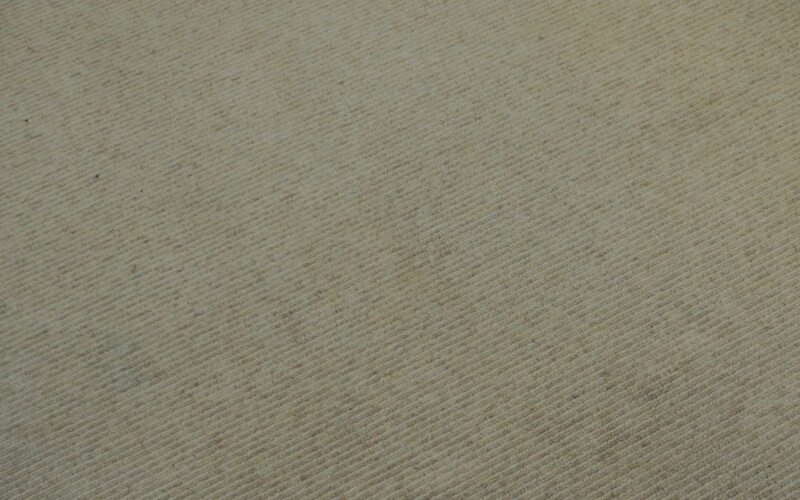 I was really pleased with how the carpets came up, they look so much cleaner and brighter. They also smell so much nicer too. I can’t wait to clean all the carpets in the house and also I will be cleaning all the car seats. As you can see the carpets are so much brighter and back to their true colour. 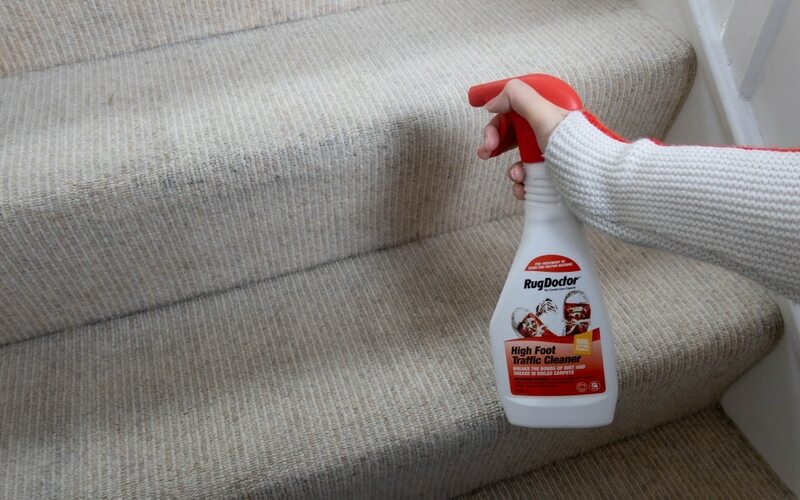 The stairs do need another going over but that’s OK. That’s the beauty of owning the Rug Doctor deep carpet cleaner I can clean them whenever I want to and not restricted to a certain hire period. 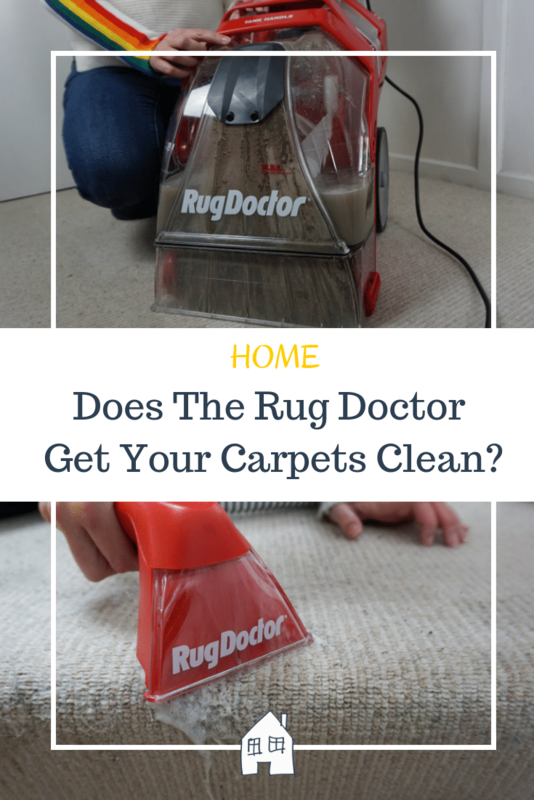 The Rug Doctor deep carpet cleaner is priced at £299 which I think it quite good value considering the cost of hiring one to use for a short period of time or even paying someone to come out and clean them for you. 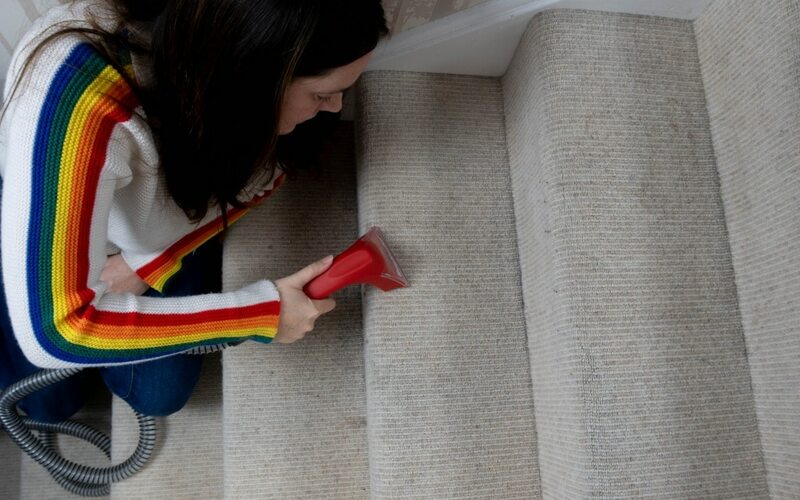 It’s so quick and easy to use that you can stay on top of the carpets too and this can become part of your cleaning routine. 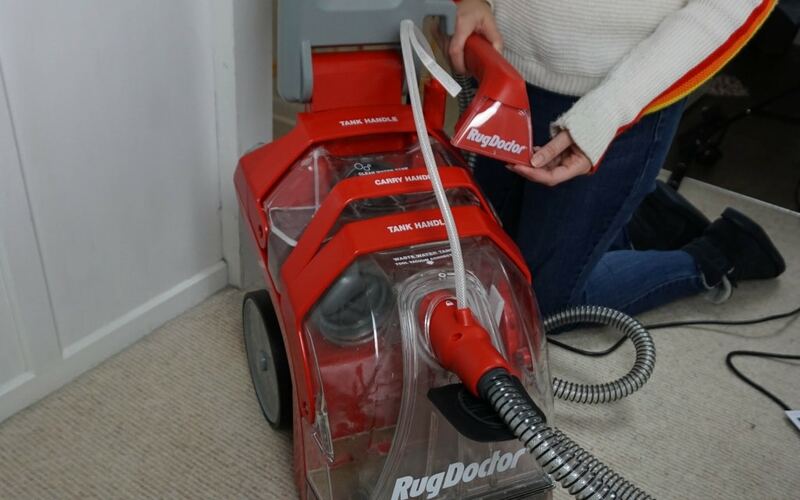 So is the Rug Doctor Deep Carpet Cleaner a product you could see being useful in your home? *I was sent this product for the purpose of this review. However, all opinions are honest and of my own. 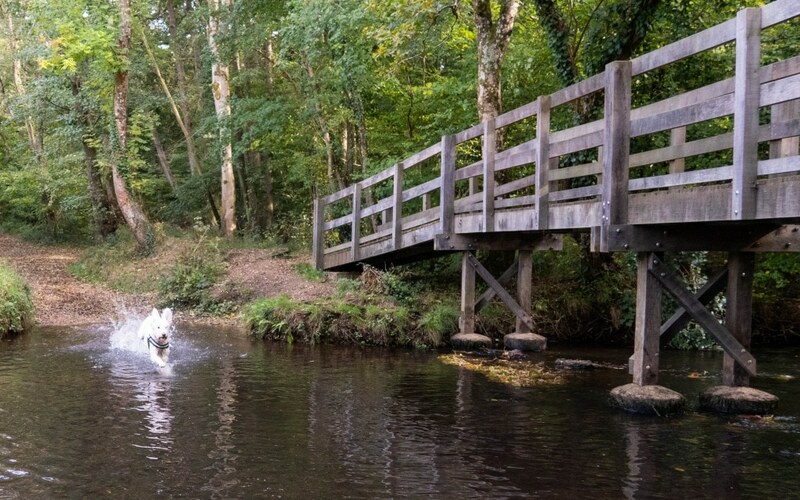 wow all that dirty water! 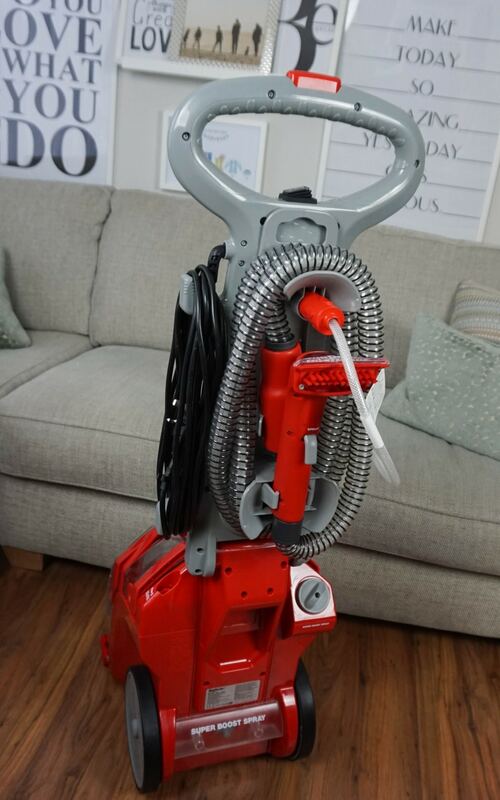 did you find the vacuum to be heavy to push and lift? This looks fantastic. We are a bit short on carpets in this house, but I’d like to give our sofas a go with it as they are about 15 years old and after a dog and three children fairly grubby!! Oh my gosh I can’t believe that dirty water! That’s gross when you think you’re walking barefoot on that carpet. I dread to think what ours would look like. 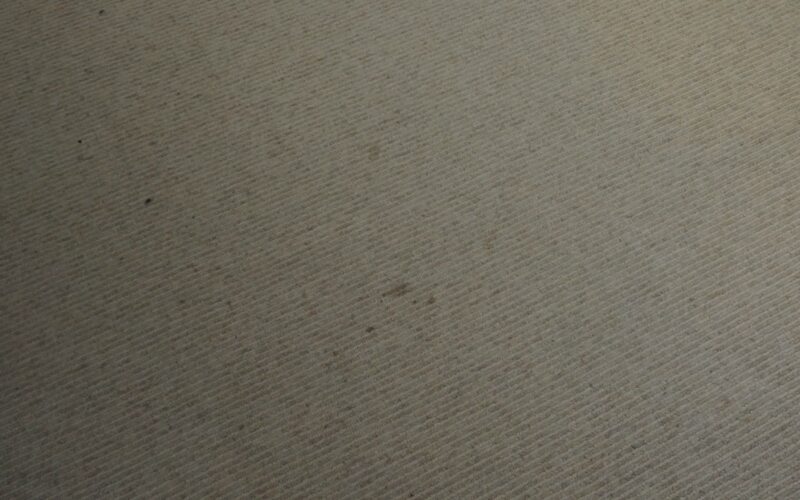 Most of our carpets are just over a year old, but we’re yet to renovate 2 of our bedrooms still. I’m fairly sure the carpet has been there since the 90s so I can only imagine what would come up! It’s horrible, isn’t it!! I wish I had this when we moved into our house as I think the carpets were the original 1970’s ones!!! Ohhh I would love to try one of these one day. With the dog and two children, the carpets definitely need it. It looks so satisfying too! Yep I think the dogs make more mess than we realise…..as well as the kids!!! It’s handy to have it to hand whenever you need it isn’t it, also so much easier going around the house cleaning everything!! Yes I was surprised the carpets upstairs had so much dirt in them too! I think that is very reasonably priced. 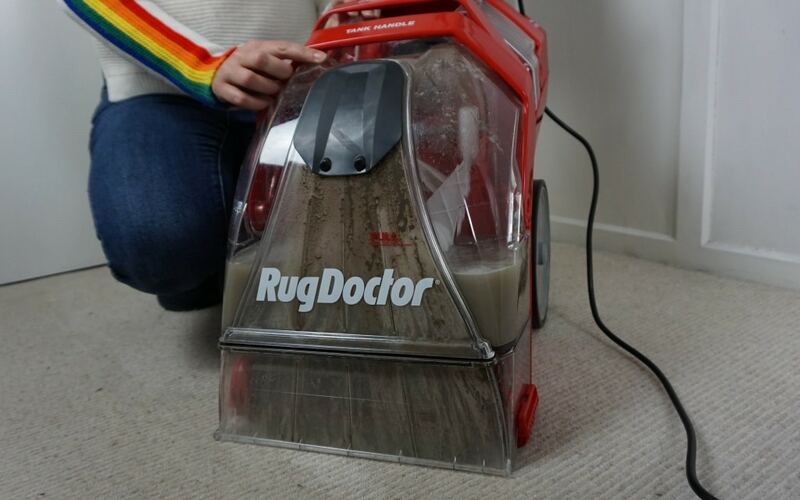 About ten years ago my dad bought one from someone else and it definitely needs replacing now, so I will suggest Rug Dr to him. I love it when you see all that dirty water coming up, it’s satisfying! Its so satisfying! Everything is getting cleaned now!!! Yep as you imagine I have quite a big list of things to clean now!! This looks great – awesome results. I will have to think about this for when I move out of rented accommodation I think! I need this in my life! We only have carpet upstairs, but it’s taken quite a beating over the last couple of years from our kids and just life in general. 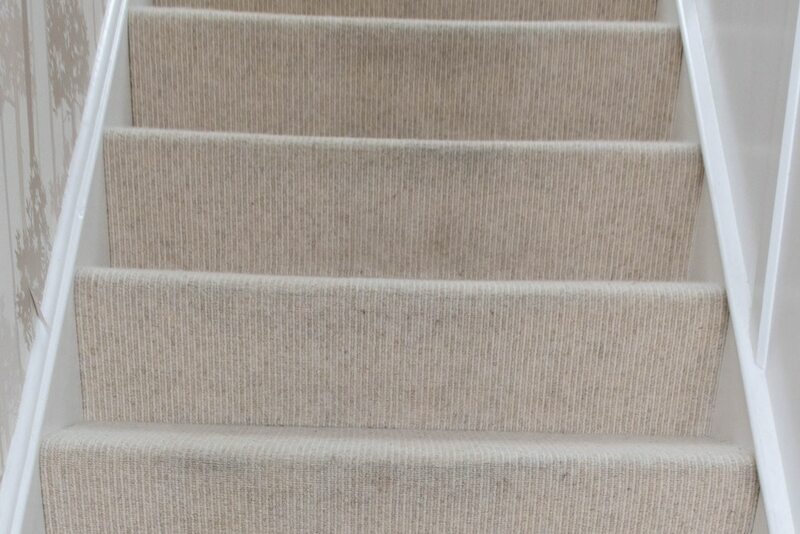 The difference in your carpets is amazing – I always find it so satisfying seeing the dirt come up too! It’s amazing how dirty they get even when you try to look after them, I was shocked at how much dirt came up! oh wow this looks ideal for me, i have two dogs and they are ruining my carpets with their muddy paws now the weather is turning! It’s impossible to keep the mud out isn’t it! I was so surprised to see how dirty the water was!